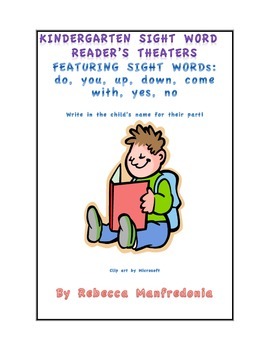 Kindergarten Readers Theaters: sight words- These kindergarten level readers theater books feature kindergarten sight words and are excellent for guided reading. The children love them and feel a sense of accomplishment when they can read them aloud together in front of other students and teachers. 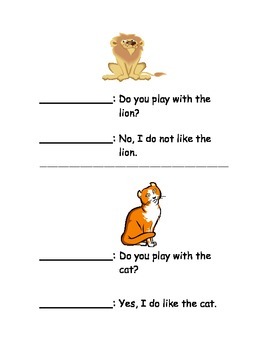 The pictures are also helpful with early reading skills. There are blank lines to assign the child's parts, which means you can have 2 or more readers! This also makes it easier for early readers to follow along! I would always search for kindergarten readers theaters, but I could never find any. The ones I did find I thought were too hard for early readers. 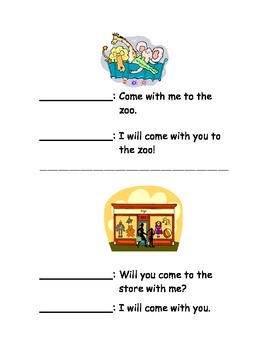 These are perfect for learning sight words and include pictures for early reading techniques.